Stick It. Click It. Send it. Win! Four Releases Done for YoYoFactory Mystery Box! Congrats to the lucky people who grabbed one so far. To those still trying – four more releases ahead of you! 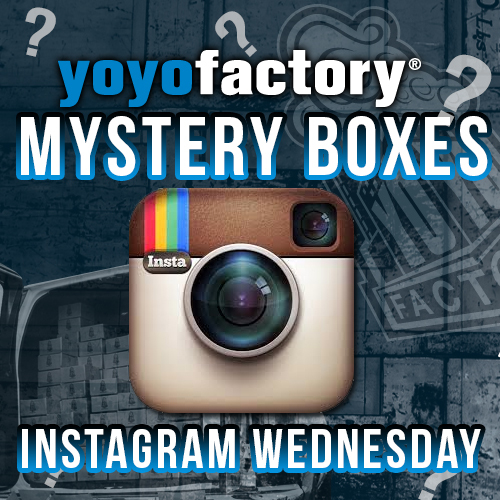 For tomorrow’s release make sure to subscribe and keep an eye on the YoYoExpert﻿ Instagram! YoYoFactory New Release – Nate Dailey Signature BiND! Michael Malik Signature Yo-Yo – The YYF BLADE! YoYoFactory GenXs & Overthrow New Release! YoYoFactory Gold Glitter Wedge & New Wide Angle Colors!